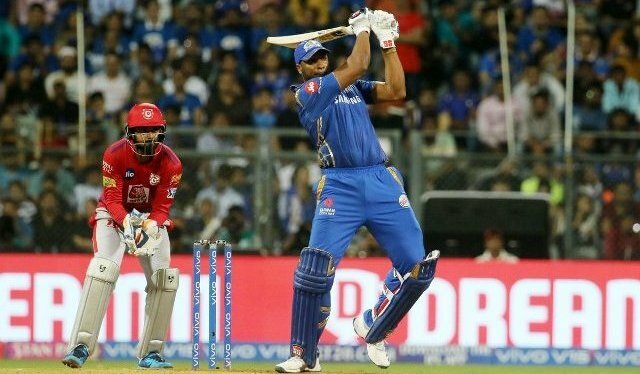 Agency, 11 April : Mumbai Indians defeated Kings XI Punjab at the Wankhede Stadium in Mumbai. Stand-in captain Kieron Pollard’s sensational 83-run knock put KL Rahul’s maiden IPL hundred in the shade as Mumbai Indians pulled off a thrilling last-ball three-wicket win over Kings XI Punjab. Pollard single-handedly brought his side back in the game with his 31-ball knock punishing the Punjab bowlers with 10 sixes and three fours. The burly West Indian was dismissed in the second ball of the last over with four needed for victory from final five balls. Earlier, riding on KL Rahul’s unbeaten 64-ball 100 and Chris Gayle’s 63, Kings XI Punjab ended up with a total of 197/4 in 20 overs after Mumbai Indians opted to field first.